We're kicking the week off with a visit from Megan E. O’Keefe, soap maker, graphic designer, and (you guessed it) author. A first place winner in the Writers of the Future competition (vol. 30), she hit the shelves this month with her debut novel, Steal the Sky, available from Angry Robot. Q: Thanks for taking the time to stop by today, Megan. For those who have yet to indulge in Steal the Sky, please tell us a little about yourself and give us an idea of what we can expect. Thank you for hosting me! Steal the Sky is a face-paced adventure fantasy, set in a city that looks a bit like the city of Gondor was thrown into the Victorian era, then plunked down in the middle of the Australian outback. 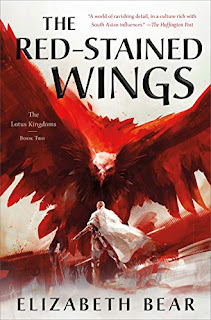 It features a conman and his best bud attempting to pull off the heist of an airship, but of course the situation gets sticky as they blunder into a political upheaval. My first foray into the SF&F world was via Dungeons and Dragons and White Wolf Games, and I’ve been hooked on fantastical worlds ever since. I got my start in writer-land in 2014, when I won Writers of the Future. I’m a writer by night, and a professional soap and perfume maker by day. 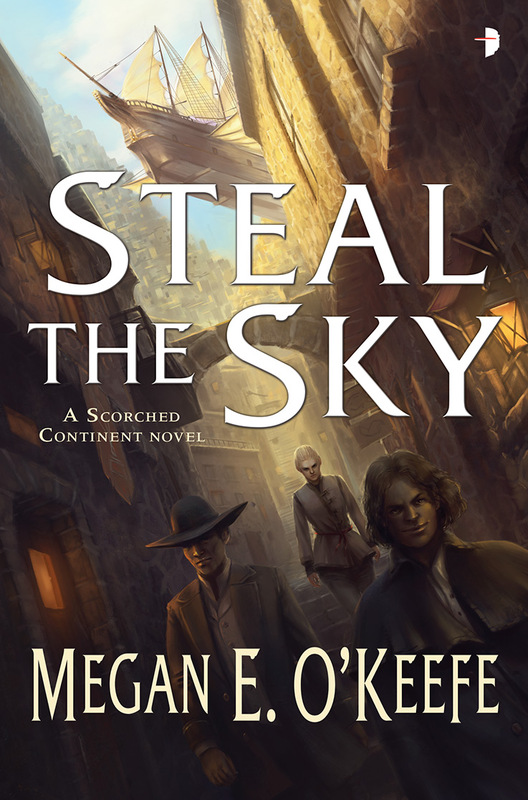 Q: Steal the Sky offers up a mix of steampunk sci-fi and high fantasy, with a healthy dose of political intrigue, cons, and capers. What was the seed of the story for you? What was it about the concept that kick-started your muse? Steal the Sky is a book I wrote purely to entertain myself at the time. I’d just finished up writing my first novel, learning everything I could about craft in the process, and Steal was meant to be a wind-down, a seat-of-the-pants adventure with fun and thievery and wild settings. Once I’d finished that first draft I realized I had something I really loved, and took it through my revision process to get it shined up. That first draft came out in a flurry of words. It took only about three weeks, and ended up around 70k words. For reference, the final is closer to 117k. Q: With all of that going on, were there any developments in the story’s evolution that surprised you over the course of those two drafts? Did it ever go in a direction you weren’t quite anticipating? The thing that surprised me the most while writing this story, and especially in revisions, was how important one character became. I’d meant for New Chum, the faithful steward of the Salt Baths, to be a side element, but I (and my characters) liked his company so much that he crept further and further into the plot. Before I knew it, I’d fleshed out a complete backstory for him and given him a more central role in Book Two. I’m really excited about where New Chum’s arc is going over the next few books. 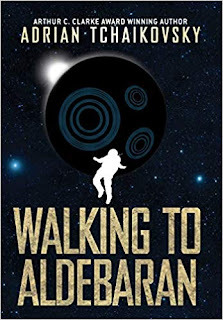 Q: Through your SF Signal Mind Meld contributions, you’ve shared your admiration for the likes of George Alec Effinger and China Mieville, both of whom are certainly adept at merging and reinventing genres. Did you take any cues or inspiration from their work? Inspiration is a tricky thing, in that (at least in my case) I can’t always pinpoint where a single idea comes from. Both Mieville and Effinger have certainly influenced the way I approach fiction. Mieville’s fearless worldbuilding and genre-mashing, and Effinger’s effortless tone and pacing are both aspects of their work that I deeply admire and am inspired by. Q: In drafting Steal the Sky you’ve clearly put a lot of working into the setting and the world building, as well as the characters. Which comes first for you in the creative process, the background, or the peoplem and which poses the toughest challenge? I always start with a character, in a situation. Steal the Sky started with Detan - my ignoble conman - sitting in a police station with a bag over his head, waiting to be interrogated. But the kicker was that he wasn’t worried, he was even a little bored. I knew I wanted to start there; with Detan and his blitheness, and the Watch-captain who had to deal with him. But for me, character and setting are inextricably linked. Our environments play a huge role in what shapes us as individuals, so as soon as I had my characters in mind, I had the beginnings of their world as well. Q: That was a powerful - and fun - scene with which to open the book. I know we talked a bit about your literary influences, but who do you find yourself turning to when it’s time to relax, enjoy, and refresh your imagination? If I need a laugh or a smile, my favorite author to relax with has got to be PG Wodehouse. His effervescent tone, casually clever wordplay, and delightful plots never fail to brighten my spirits. I’ve even snuck an homage to his work into Steal the Sky in the form of Detan’s overbearing aunt. If I need an infusion of beauty, I have only to reach for my collection of Patricia A McKillip. That woman does things with imagery that are truly enchanting and occasionally surreal. Q: If we can turn the spotlight directly on you for a moment, you are a professional soapmaker and perfumer, as well as a published author. How did that come about, and (most importantly) have you managed to capture that elusive smell of an old book? Hah! I am actually in the process of blending up an old book smell. It’s a tricky one, because while there are some fragrance notes involved that are universal (vanillin, white oak, soft musk) it is also an intensely personal scent. Not to say that it’s impossible to capture - I love chasing down tricky, elusive fragrances. Blending up my petrichor scent, for example, was quite the satisfying challenge. I’ve completed six test blends for Old Books so far, and am moving into longevity testing them. As for how being a soapmaker came about, I started out as a hobbyist, and the business grew from there. Q: Looking forward, I know you’re nearly done the first draft of your 2nd Scorched Continent novel. Any idea when we might see that, and is there any short fiction coming up we can look forward to? I don’t have a hard release date for Book Two yet, but it’s safe to say you can expect it toward the autumn of 2016. As for short fiction, my 2015 short story Of Blood and Brine which originally appeared in Shimmer has been reproduced in audio form by Podcastle. 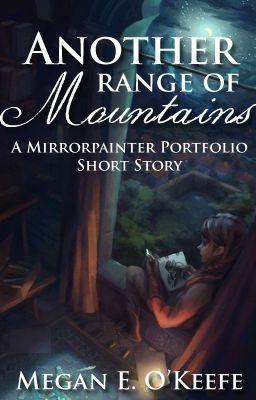 My Writers of the Future winning story, Another Range of Mountains, is also available for free over on Wattpad. Thanks again for taking the time to stop by today, Megan, and best of luck with perfecting the Old Books recipe! Megan E. O’Keefe lives in the Bay Area of California and makes soap for a living. (It’s only a little like Fight Club.) She has worked in arts management and graphic design, and spends her free time tinkering with anything she can get her hands on. 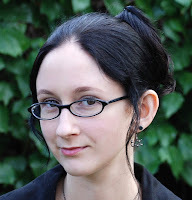 Megan is a first place winner in the Writers of the Future competition, vol. 30. Steal the Sky is her first novel. You can find Megan online at meganokeefe.com and @MeganofBlushie on Twitter. Detan Honding, a wanted conman of noble birth and ignoble tongue, has found himself in the oasis city of Aransa. He and his trusted companion Tibs may have pulled off one too many cons against the city’s elite and need to make a quick escape. They set their sights on their biggest heist yet—the gorgeous airship of the exiled commodore Thratia. But in the middle of his scheme, a face changer known as a doppel starts murdering key members of Aransa’s government. 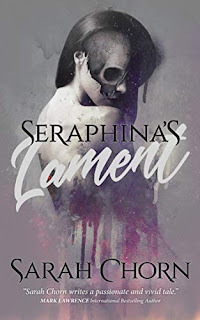 The sudden paranoia makes Detan’s plans of stealing Thratia’s ship that much harder. And with this sudden power vacuum, Thratia can solidify her power and wreak havoc against the Empire. But the doppel isn’t working for Thratia and has her own intentions. Did Detan accidentally walk into a revolution and a crusade? He has to be careful—there’s a reason most people think he’s dead. And if his dangerous secret gets revealed, he has a lot more to worry about than a stolen airship. Congrats to Megan on her book. Why are all of modern book heroes conmen or criminals or crooks or street people? Congratulations on taking first place and your new release. I've had a secondary character creep further into the story than planned. Sometimes, those end up being the best characters. Adding your book to my list to read! I love the cover and the description. Steal the Sky looks like a good read! Great Q&A. Have to admit not being very hyped about this novel before reading this, but now I definitely will give it a try. I love the way you delve into the writing process, Bob! Awesome interview, and this is a book I'm regretting passing up for review! Definitely going to catch up with it at a later date.